Healthy and delicious, everyone will love this black bean and tomato quinoa salad. I am the mom of four young adults and an empty nester. My husband and I are going on our second year of being empty nesters and we are still trying to figure it out. Some days I am better at being an empty nester than others. I love being a mom and I loved being part of my children’s lives, being involved in their day to day activities. I am a much better supervisor than I am a good spectator. I now find myself in the role of being a spectator. When mothers talk about the depression of the empty nest, they’re not mourning the passing of all those wet towels on the floor, or the music that numbs your teeth, or even the bottle of capless shampoo dribbling down the shower drain. They’re upset because they’ve gone from supervisor of a child’s life to a spectator. It’s like being the vice president of the United States. I don’t like being the vice president! One of my favorite things to do for my family is cook so cooking for just the two of us has definitely been an adjustment. 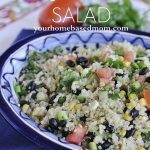 It took me a whole year to figure out how much salad to make so that I didn’t have to throw half a bowl away! A few years ago, one of my daughter’s was diagnosed with multiple food allergies. 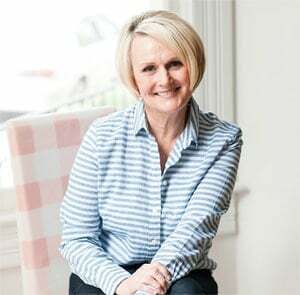 We discovered that she was allergic to wheat, dairy, red meat and a large selection of raw fruits and vegetables (oral allergy syndrome) Being a busy junior in college at the time and trying to figure out a whole new way of eating was a challenge. She needed my help! I could be a supervisor again. I have spent the last couple of years learning about a whole world I didn’t know existed – the world of gluten free, dairy free, vegan etc. 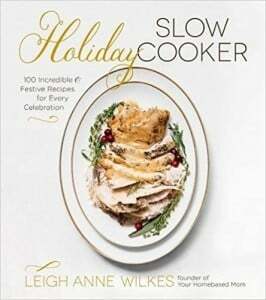 I have made it my job to discover new and hopefully delicious recipes that she can eat and enjoy. Sometimes I have been successful, sometimes I haven’t. I recently discovered a wonderful gluten free flour mix which I shared on my blog recently. One of the challenges with my daughter’s diet is getting enough protein in her. She can eat chicken but but she really doesn’t enjoy meat. 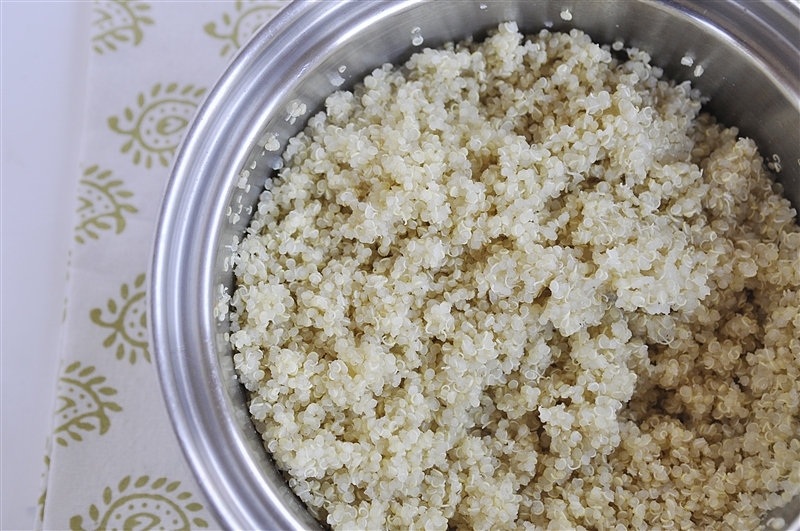 One of the foods we discovered in this new food journey is quinoa. 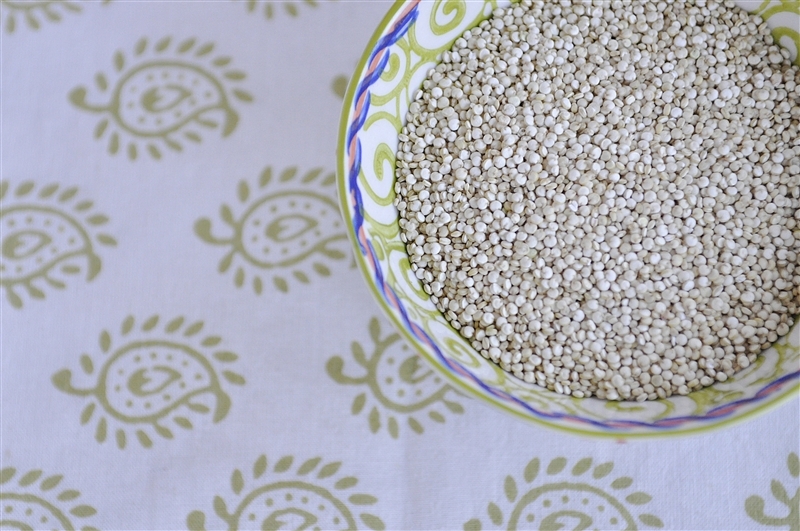 Quinoa has been around for centuries and is actually a seed. It is considered a complete protein and is also a good source of fiber and high in magnesium and iron. 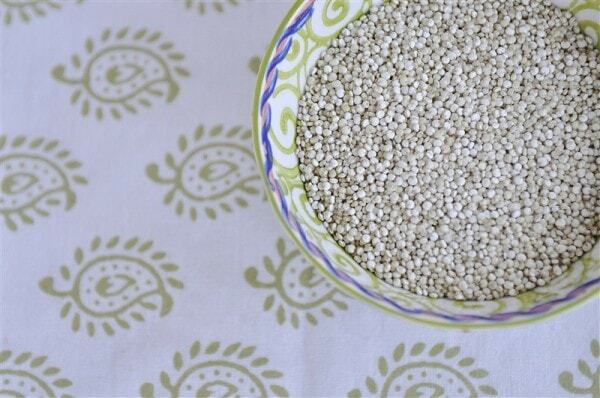 I began cooking with quinoa and we have found it to be delicious and a wonderful “go to” food for my daughter. 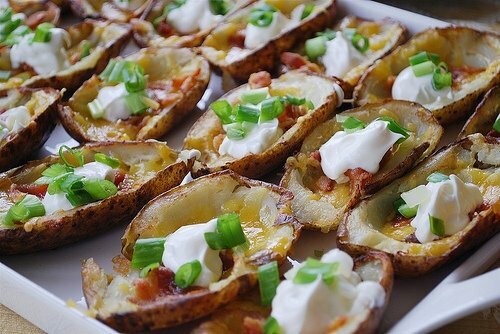 You make up a big batch, add in different vegetables and seasonings and create an amazing meal. It can be eaten warm or cold. You cook it just like rice – in a pot with boiling water. 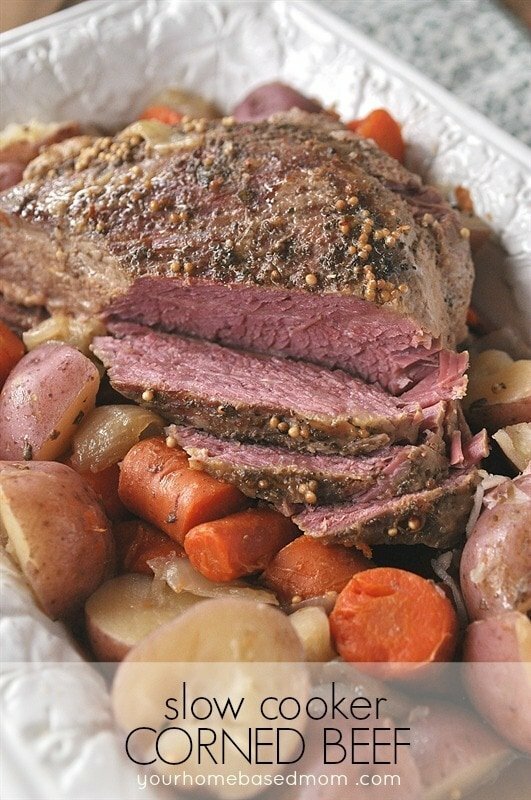 It cooks quickly in about 15-20 minutes and then all you have to do is fluff it with a fork. Next I added in a mixture of fresh lime juice, butter, olive oil, sugar and garlic. Next comes the fun part. 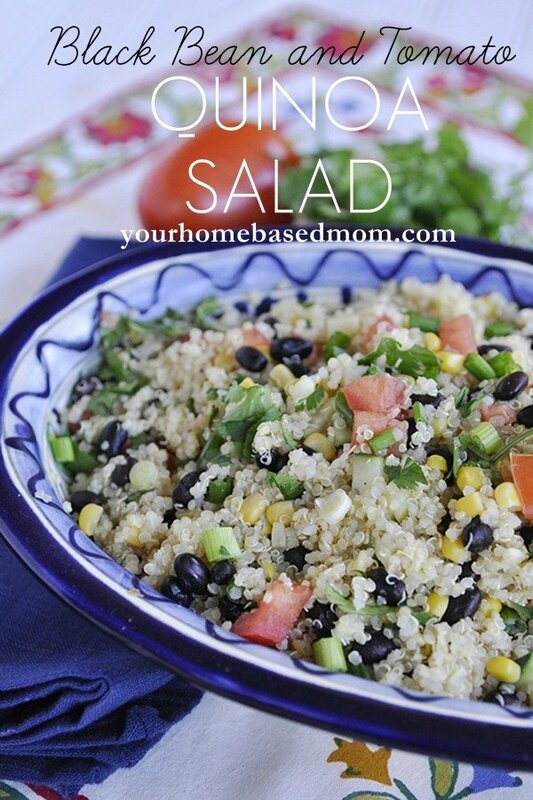 You can basically add in any veggie you like. There are several vegetables my daughter can’t eat in the raw form (carrots, snap peas) so I avoid those but our favorites are black beans, tomatoes, corn, cucumber, green onion, tomato, cilantro and red pepper. You can eat it warm, room temperature and cold. Your choice. 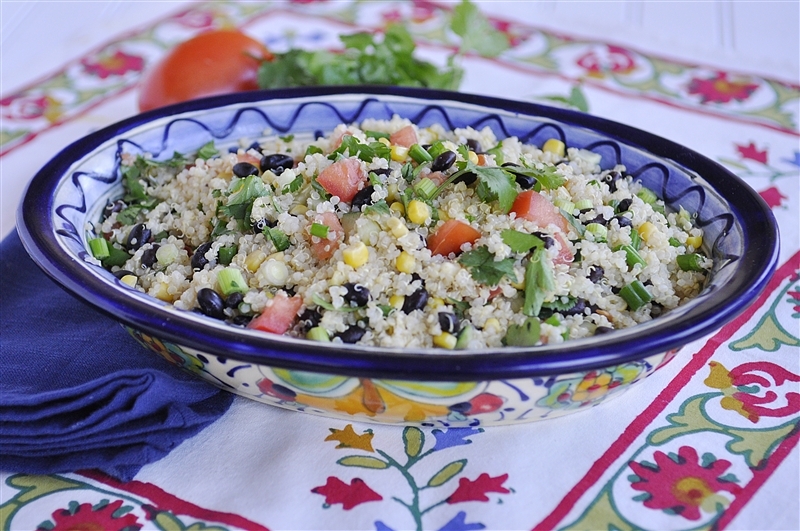 Healthy and tasty, this black bean and tomato quinoa salad is a perfect side dish to your favorite chicken dinner. 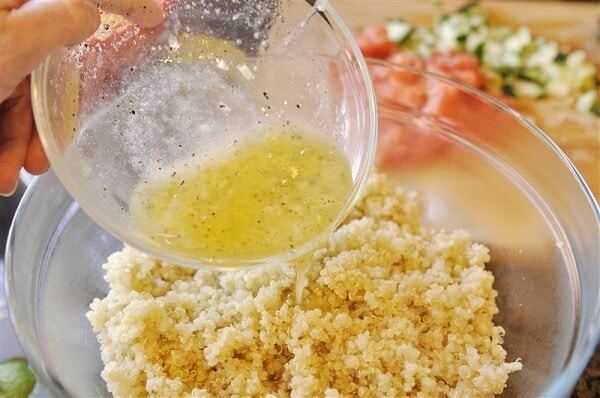 Mix together lime juice, melted butter, oil, sugar, salt, pepper, and garlic. Cook 1 C quinoa in 2 C of water. Bring to a boil and then simmer with a lid for about 15 minutes or until cooked. Fluff with a fork. Empty nester suggestions are welcome! 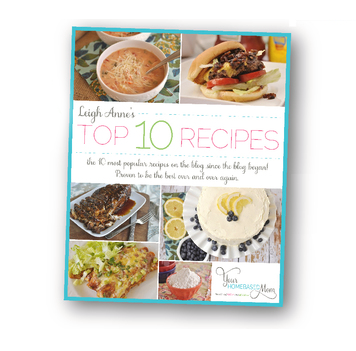 So glad you all liked it – love the idea of adding in avocado. Made this for lunch today and it was awesome. Love the dressing. I felt like every bite was good for me. I added an avacado because I had one on hand that was ripe. Thanks so much for this recipe. It is a keeper. So glad you liked it. I am trying avocado next time I make it. 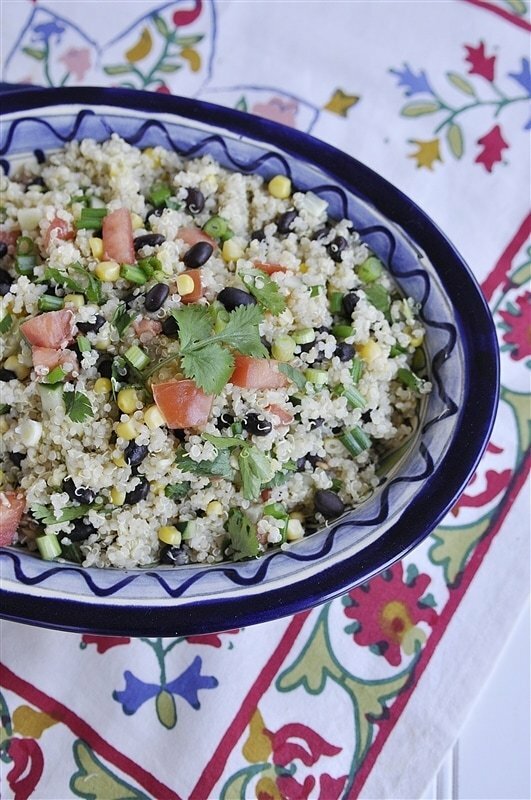 I love quinoa and am always looking for new recipes! This looks great – pinning for future use!! This salad is amazing! Thanks so much for sharing it!! 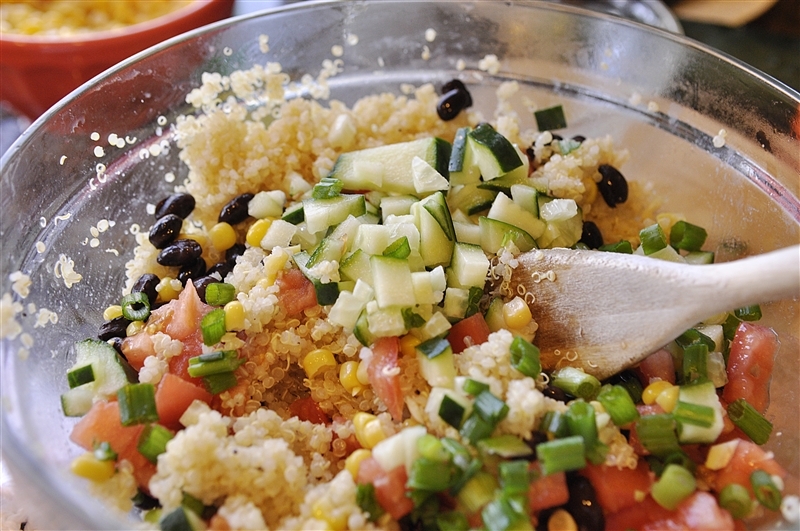 I don’t know what I might be doing wrong, but I can’t seem to find the recipe for the black bean , quinoa salad. Would you be kind enough to send it to me. It sounds so good. Thanks a bunch!